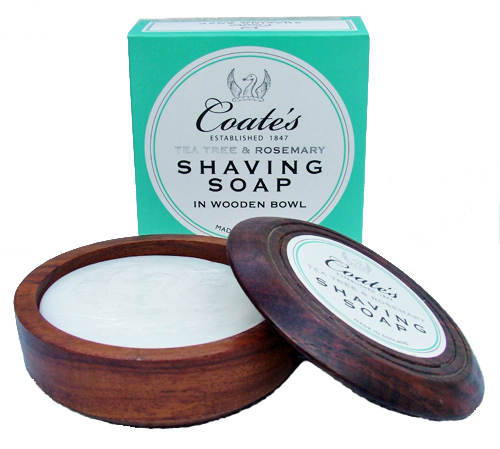 We featured the Coate's shaving cream recently and wrote of The Gentleman's Shop riding to the rescue to save this renowned brand and keep it UK-based. Well, let's mention the shaving soap too. Note the handmade wooden bowls, imported from India by Coate's previous owners many years ago and re-discovered recently. With a subtle rosemary fragrance, swirl your badger brush around that lovely bowl and you're in for a nice, smooth shave. The tea tree oil will also help calm the shaved skin and reduce any post-shave redness when absorbed into the skin. 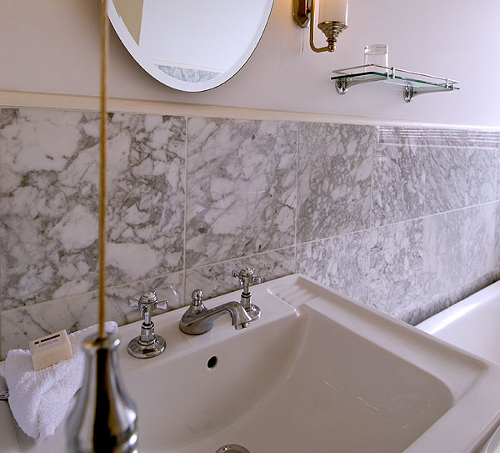 Regarding the packaging, if you see a touch of 30s glamour in that green hue and the Coate's swan emblem in silver, it was driven by a design brief that required the soap to look well in the bathrooms of the wonderful art deco Burgh Island Hotel in Devon, England. Imagine the morning shave looking out to sea and then downstairs for kippers, gentlemen. And your skin will be in fine fettle for cocktails later in the Peacock Room. The hotel sits on its own little island off the Devon coast near Bigbury-on-Sea. There's also a nice little pub on the island called The Pilchard Inn. They have a wheeled contraption to ferry you back and forth in case the tide comes in, but if the tide is favourable you can walk over from the mainland. A lovely part of the world. I know the area quite well. And if I'm in the vicinity, I also tend to visit a fish restaurant nearby called the Oyster Shack. And if you think there's a touch of Agatha Christie to the hotel, well you won't be surprised to hear that it featured in a TV adaptation of Christie's Evil Under the Sun, one of the definitive Poirot episodes starring the wonderful David Suchet.